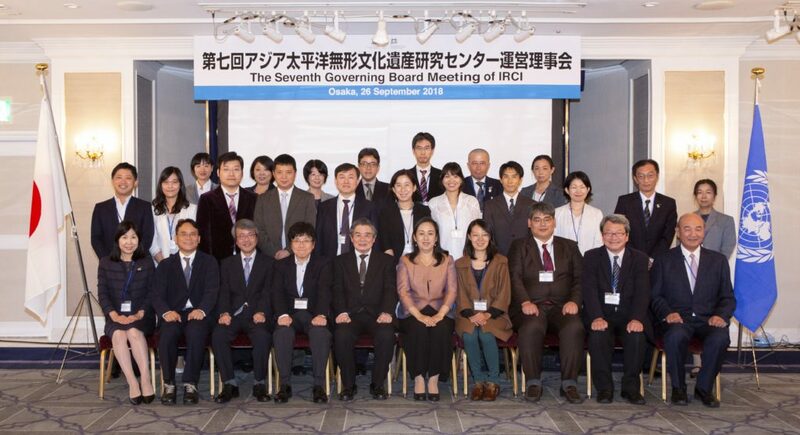 The Seventh Governing Board Meeting of IRCI was held on 26 September 2018 at RIHGA Royal Hotel Osaka. In addition to the 8 members of the governing board, 14 participants such as representatives of Agency of Cultural Affairs, the Ministry of Foreign Affairs, Sakai City, other UNESCO C2 centres of intangible cultural heritage in People’s Republic of China (CRIHAP) and Republic of Korea (ICHCAP) attended the meeting. The Governing Board, after the active discussion approved Work plan and budget for FY 2019 together with Reports of the activities and financial statement for FY 2017 and Progress of activities and budget for FY 2018. The following day, a cultural excursion to experience Japanese traditional paper (Washi) making was organised.